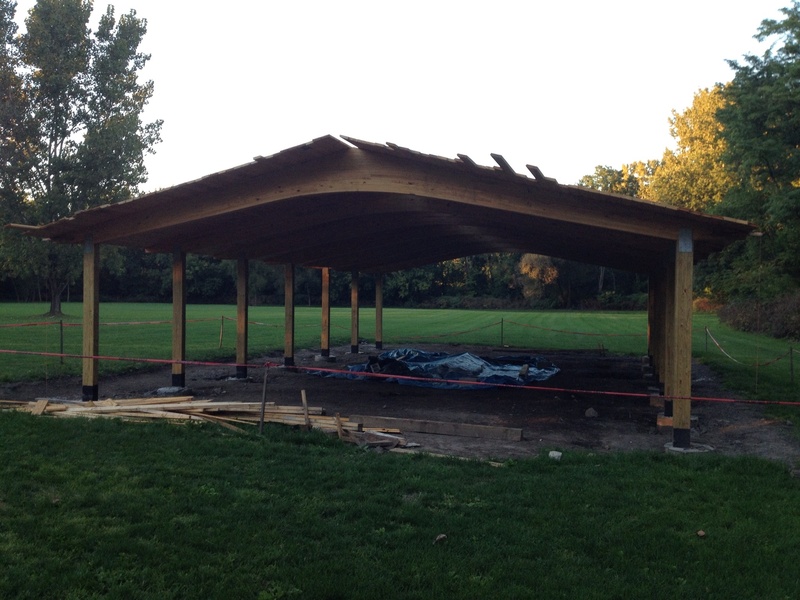 Construction has begun on the Collins Park Pavilion. 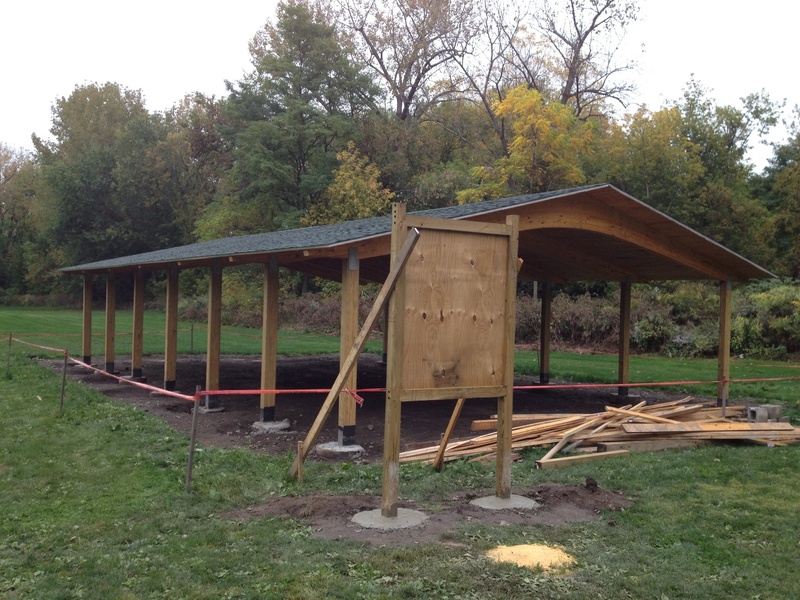 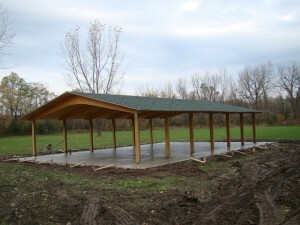 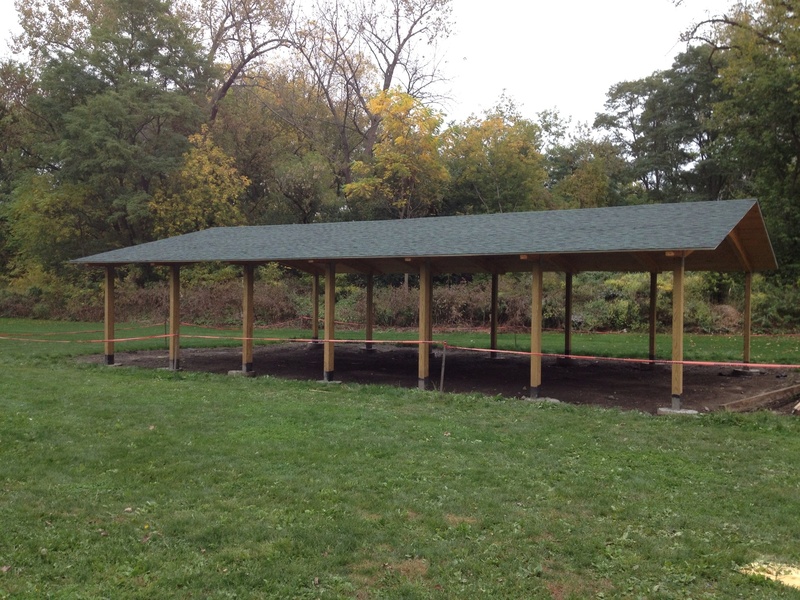 Volunteers from the Lions and GE along with Park employees have been busy building the Pavilion. 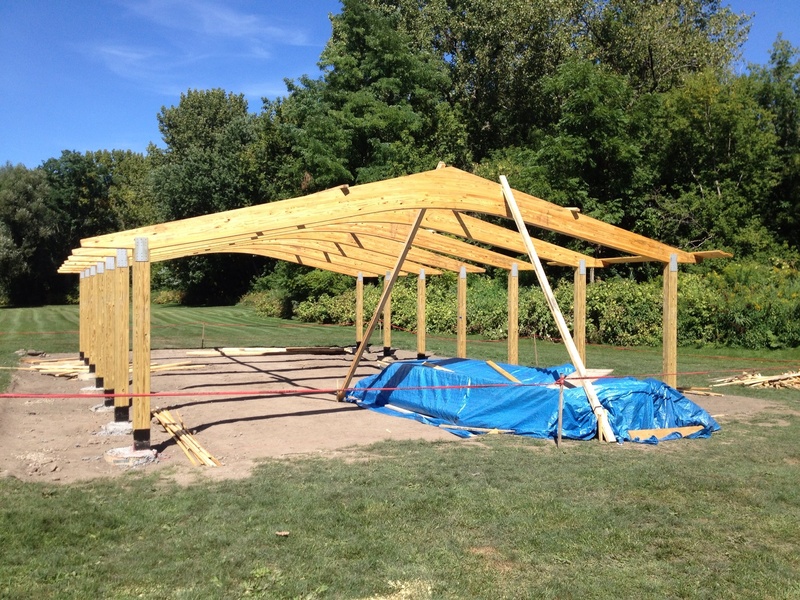 You can follow our progress below. 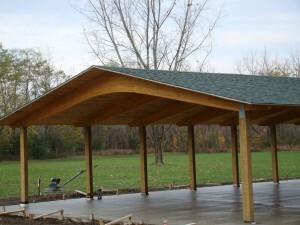 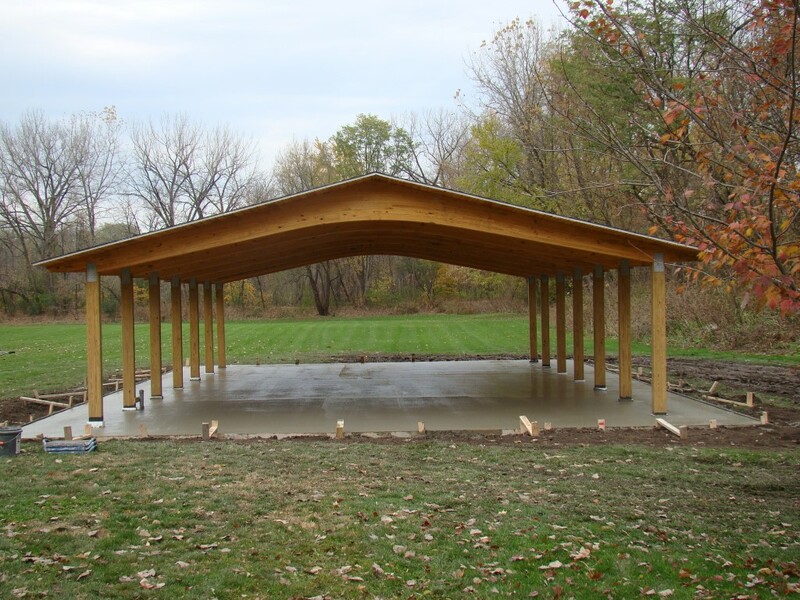 November 1 – Concrete slab poured by Adirondack Landscaping. The guys did a great job. 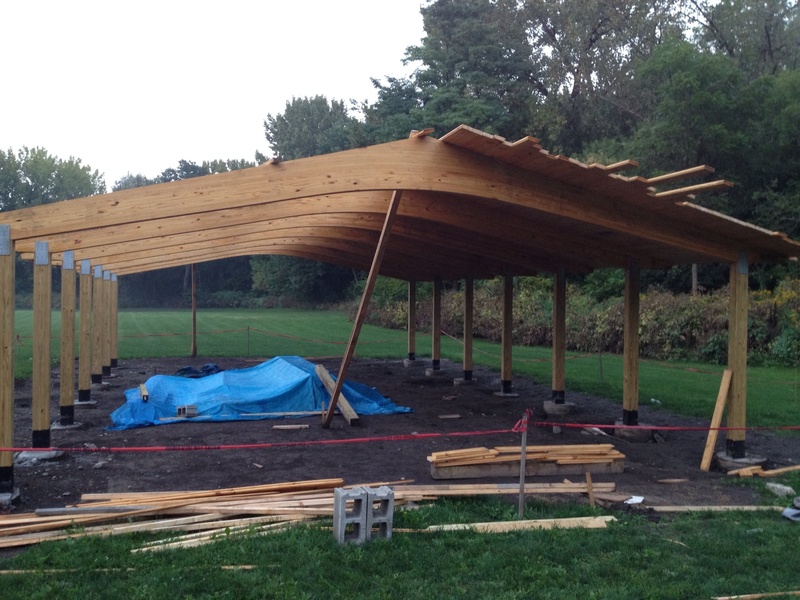 Pavilion signs to be installed soon. The Village will be running electricity to the pavilion for lights. September 19 – Finished installing remaining roof boards. 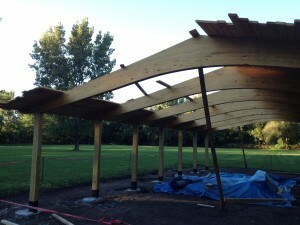 Edges to be sawed off clean and a few trim pieces to be added. 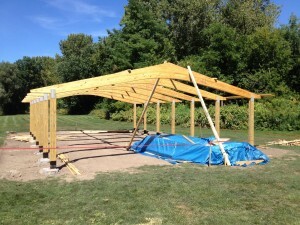 Shingle roof coming soon. 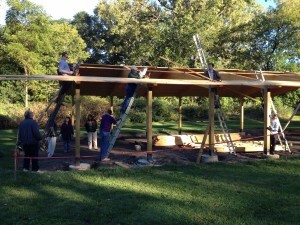 September 17 – Continue installing roof boards. 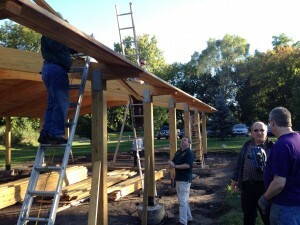 Lion’s District Governor Steve and 1st Vice District Governor Marianne came to help out to help. 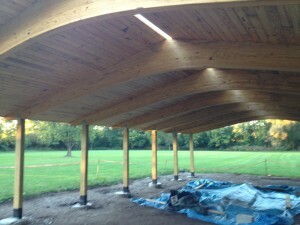 Roof is nearing completion. 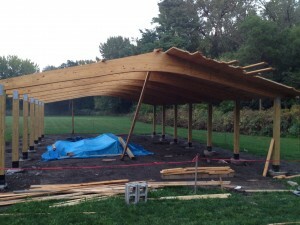 August 24 – Roof arches installed on posts. 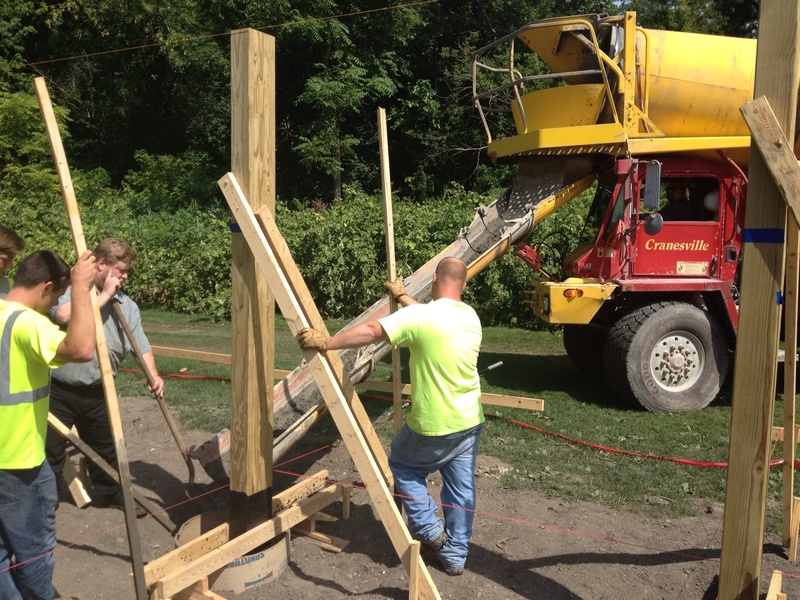 Arches weigh 850 pounds each. 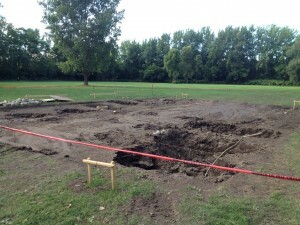 August 10 – Start construction. Sealed lumbered and prepared site. Unfortunately discovered 4 feet of buried concrete (old Scotia bridge from 1960’s) only 12inches under ground. Park workers used heavy equipment to jack hammer through it. 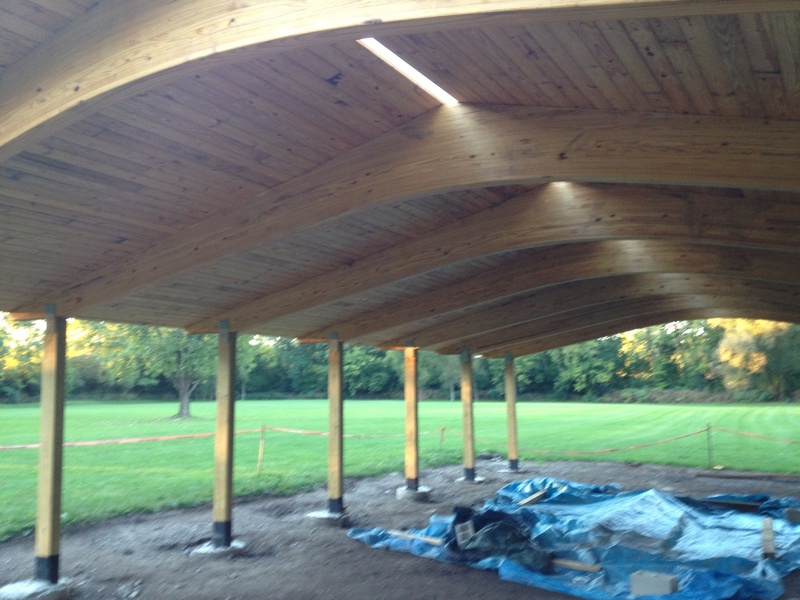 This entry was posted in Collins Park Pavillion Project. Bookmark the permalink.